Another good day at Sonning with 34 Roach between 6oz and 12oz, 9 Dace 3oz to 5oz and 1 Bream about 1lb. 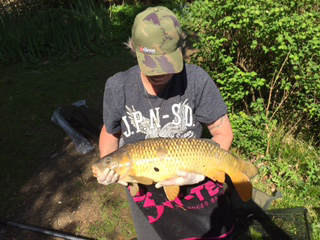 Baits Hemp and Tares, Sweetcorn, Maggot and Caster all worked on the day, float or feeder also worked. 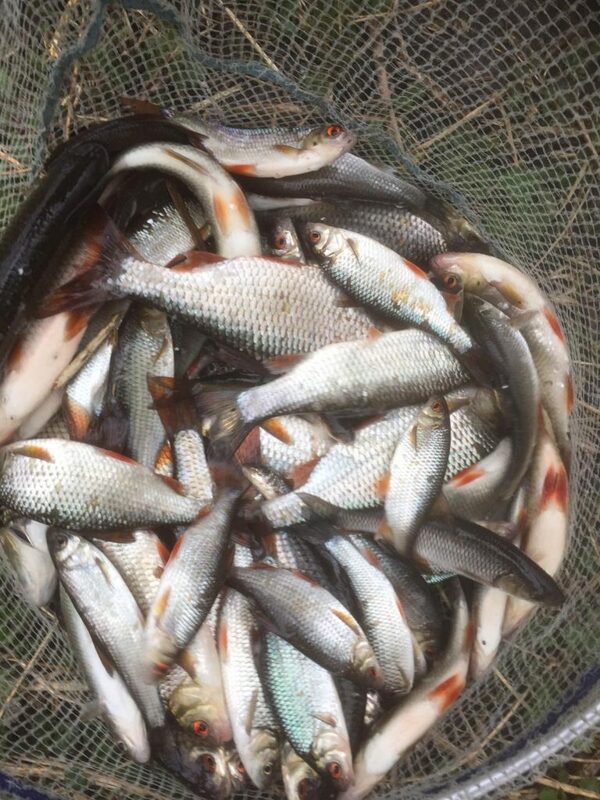 80 Roach two of them over 2lb Dace 4oz to 5oz Perch of 8oz and a Barbel of 8lb plus, Chub 4lb plus, all on the same day. This was in the day time not a bad days fishing. 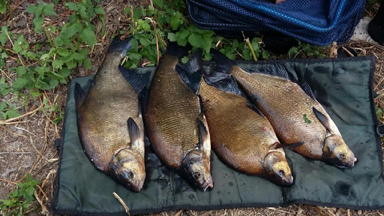 Part of a catch from Lowbell, 5 Chub between 1.8lb and 4lb the rest of the catch was Bream and Roach. Bait was maggot and caster. 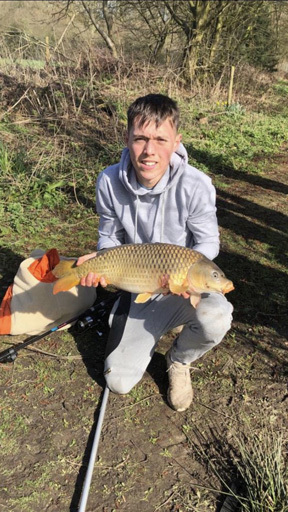 Wally Spooner fished the peg next to the promontory with the windmill in the main lake. 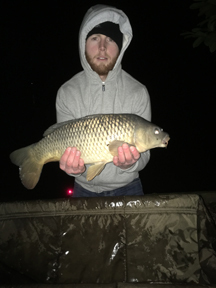 Tackle was 12 hook, hair rig with small feeder, carp rod behind alarms. 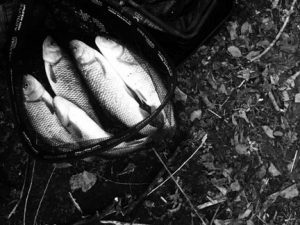 Bait 2 6mm pellets halibut and robin red. 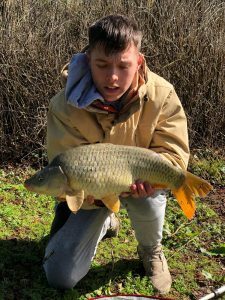 Feeder had pellets plus ground bait. 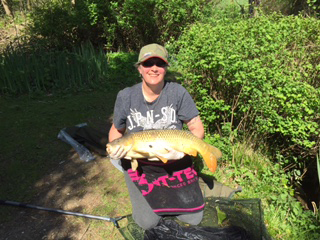 Fished 12.00 to 3.30pm, caught 5 carp, between 8 and 14lb, 4 commons 1 mirror all in good condition, fought well. Fishery peaceful, red kite orbiting overhead. 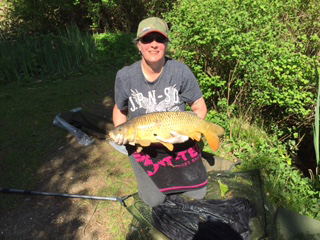 Another nice Carp from Shepherds Way for Ashley it weighed in at 12lb. 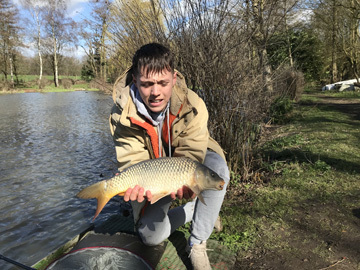 Stuart fish Blunham 14-02-2017 and had a couple of bream the biggest went just over 6lb he also lost a bigger fish, fishing the stick float he thinks it could have been a barbel.